Earlier this week I shared about the serious lack of prints in my closet. Taking another look, I realize that there is even less than I originally thought. I find this weird because the print items that I do own (polka dots, stripes, and a few florals) are my favorite items and the ones that I wear the most. Prints are just more interesting that solids and automatically add a little something extra to a look. 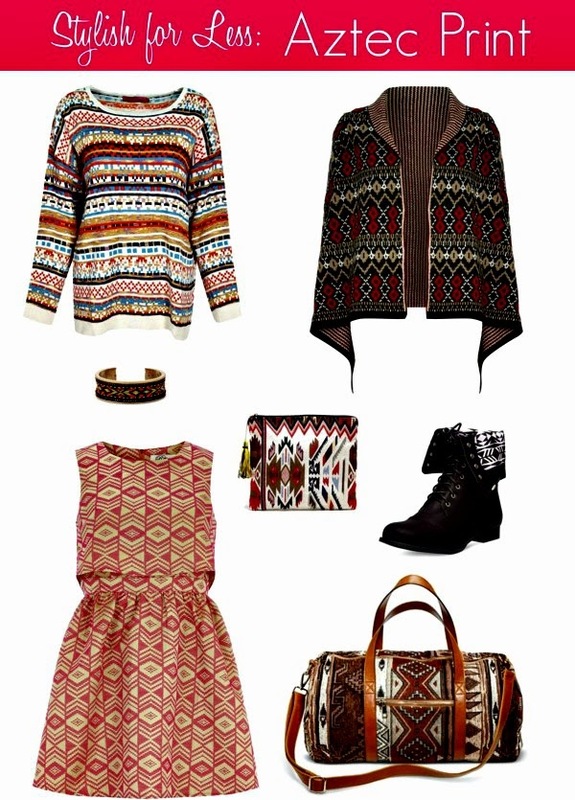 All of these Aztec prints are under $50. I am loving the weekender bag. It's beautiful and would see a lot of use. I also really love the combat boots. If I saw these at a store where I could try them on, I would definitely want to buy them. What are your thoughts? So pretty! I love this trend. That dress is so fun!! I really need to start incorporating more prints into my wardrobe.